TAKAMOVSKY is the project- and stage name of Juergen Berlakovich. Spoken language, atomized to its microstructural elements and electronically processed, sonified DNA sequences, basses, guitars and fieldrecordings altogether merge to a stream of sound, in which acoustic glimpses of songs, swirling voices, soundscapes, noise and harmonic structures alternately submerse and arise. 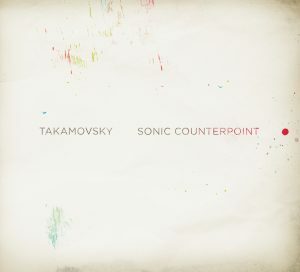 SONIC COUNTERPOINT is Takamovsky’s second solo album. The album’s individual tracks combine harmonies and musical structures from early music with electronic sounds. The tracks revolve loosely around a bourrée from Johann Sebastian Bach’s Cello Suite No. 4, BWV 1010, which also simultaneously forms the start and end of SONIC COUNTERPOINT. 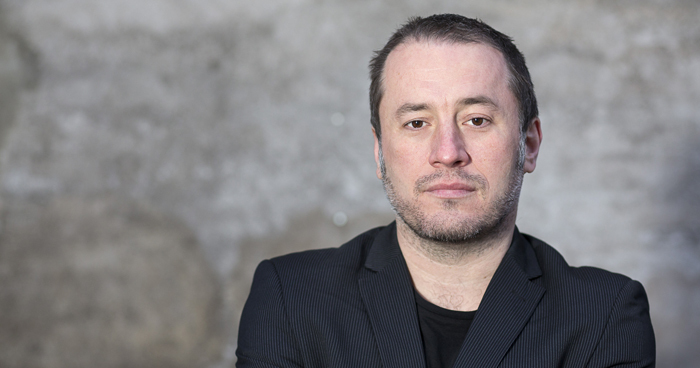 Takamovskyʼs debut album In Streams deals with life and communication in various data streams. The album is populated by twittering dogs, lonesome DJs, paranoid facebookers, speechscrambled anchormen, dead air, and data dʼamour. The 10 tracks, embedded in echoing aural landscapes, oscillate between songs and sonics. Takamovsky blends speech-based, granulated electronic soundscapes, beats, and trans-formed field recordings with bass and processed guitars and merges everything to a stream of sound, in which acoustic glimpses of songs, swirling voice-particles, soundscapes, noise, and harmonic structures alternately submerse and arise.